Glasgow has been high on my bucket list ever since my first taste of Scotland – a weekend in the highlands to climb Ben Nevis. When boredom struck around Christmastime and I found myself scanning the flight sales, my heart skipped a beat at £30 return Glasgow flights from Bristol. Ok sure, the flights are cheap but I bet the accommodation will be expensive, right? Wrong. 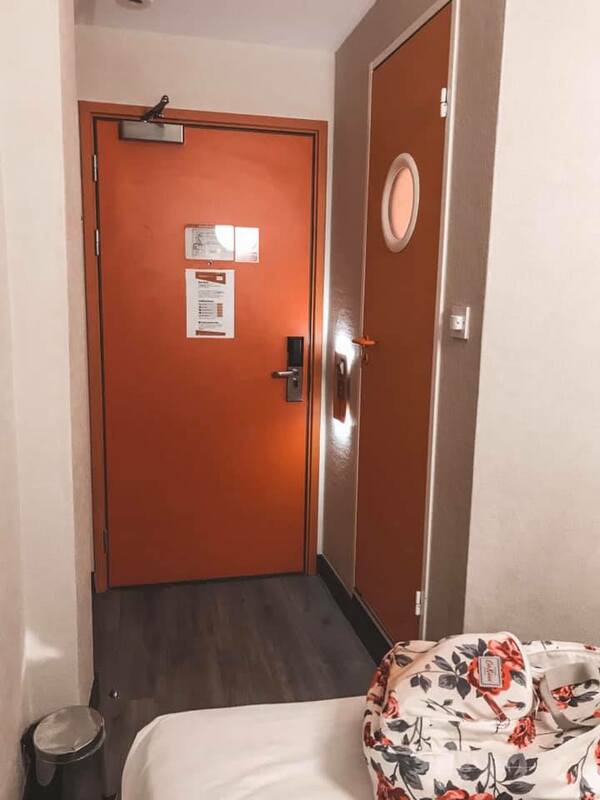 A double private room with no window in the easyHotel Glasgow City came to just £18! £18!!! And it was located directly within the City Centre, making it both accessible and affordable. I was sold, Glasgow here I come! I had the first glimpse of Glaswegian hospitality upon boarding the plane, when I witnessed an elderly Scottish woman be seated by her son who was unfortunately seated somewhere in the front. She wasn’t left alone for long however, as her two neighbouring passengers joined – an elderly Scottish man and woman. Whatever woes she felt disappeared as the three chatted merrily throughout the hour flight, and even shared a cider together as if they’d known one another for a lifetime. Landing into Glasgow Airport at 14:15, I exited the aircraft and made a beeline for the exit, eager to hit the shops. The Glasgow airport express is really the only transport you should consider since it’s the airport’s official bus service. Departing up to every 10 minutes as you immediately exit the airport, the service operates 24/7 around flight times – every day of the year except Christmas Day. Connecting the airport and the city centre in just 15 minutes, you can pay on board with cash, card or contactless charged at £8 Adult single or £13.50 open return. You’ll likely ride the service until the final stop – Buchanan Bus Station – but the drivers are really helpful at identifying the right stop. 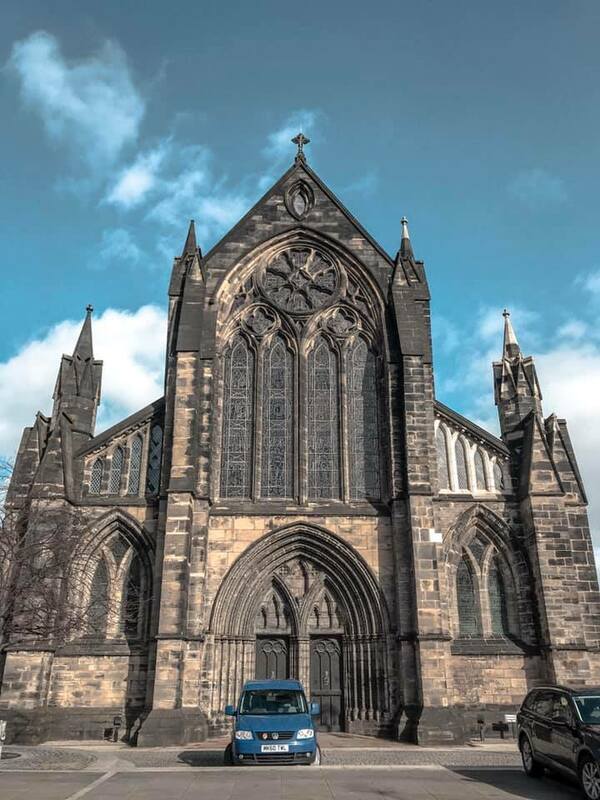 And actually, this was my second taste of the Glaswegian affability as the driver went out of his way to help every passenger – saving one group of lads about £15 by suggesting a group ticket. From Buchanan Bus Station, it was a seven-minute direct walk to the hotel. ‘Style Mile’, ‘Golden Z’ or whatever you want to call it, Glasgow’s centre is a paradise for shopaholics. 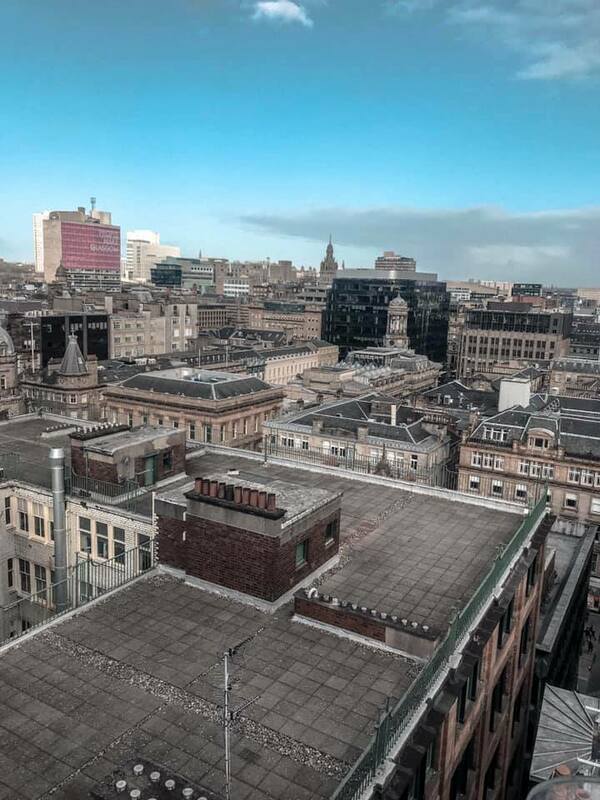 With its three main shopping streets – Sauchiehall St, Argyle Street, and Buchanan St – it’s easy to see why Visit Glasgow stakes its claim as the best shopping city in the UK outside of London. Due to the location of the hotel, I began my tour of Style Mile on Sauchiehall St. Ok, that’s only half true. 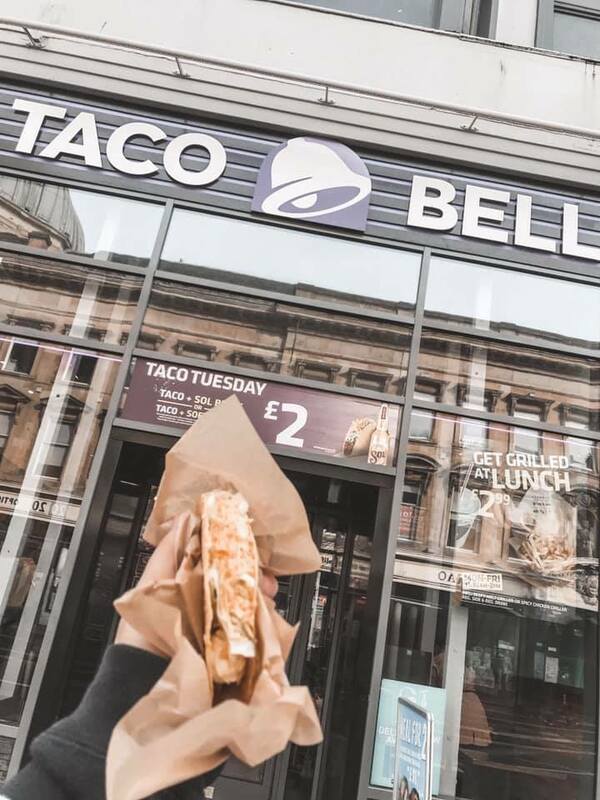 I was really excited to visit Taco Bell because I’d last had it about four years ago in San Francisco. 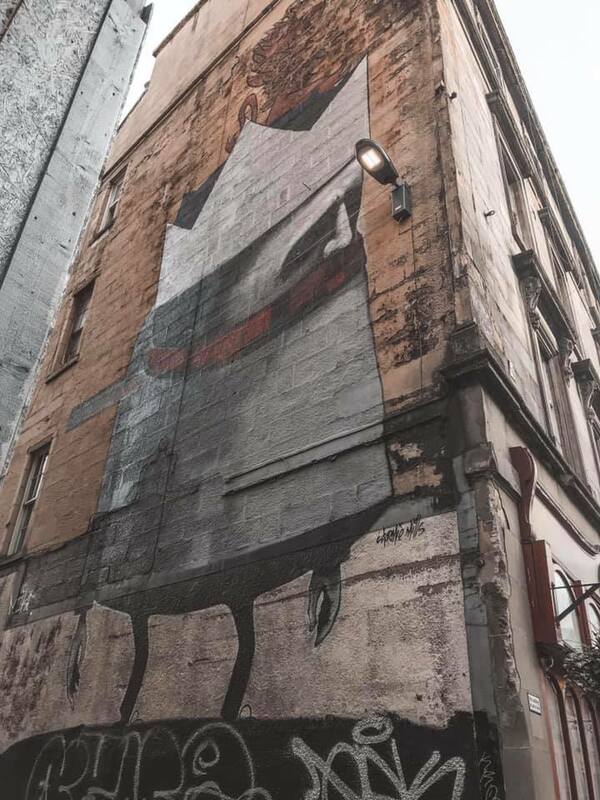 Painted by Australian artist Stormie Mills, his famous “Lost Giant” series can be found worldwide but Glasgow’s has a specially decorated Glaswegian tartan scarf. 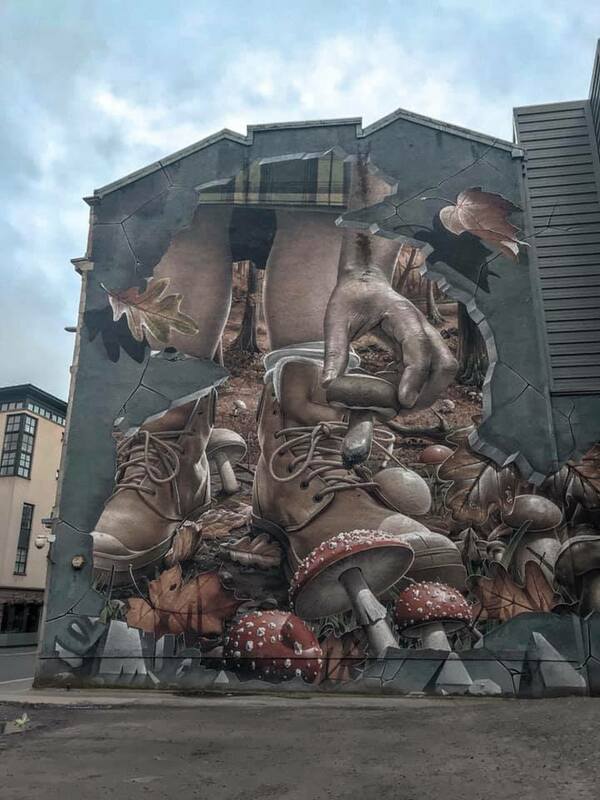 Side note: If you don’t know, Glasgow is filled to the brim with street art murals that are intended to rejuvenate Glasgow’s streets and revitalise buildings and vacant sites that look a bit tired. There’s such a significant number that there’s now a mural trail which has been plotted on this handy map. From here I walked the length of Sauchiehall St to join Buchanan St that eventually led into Argyle Street. 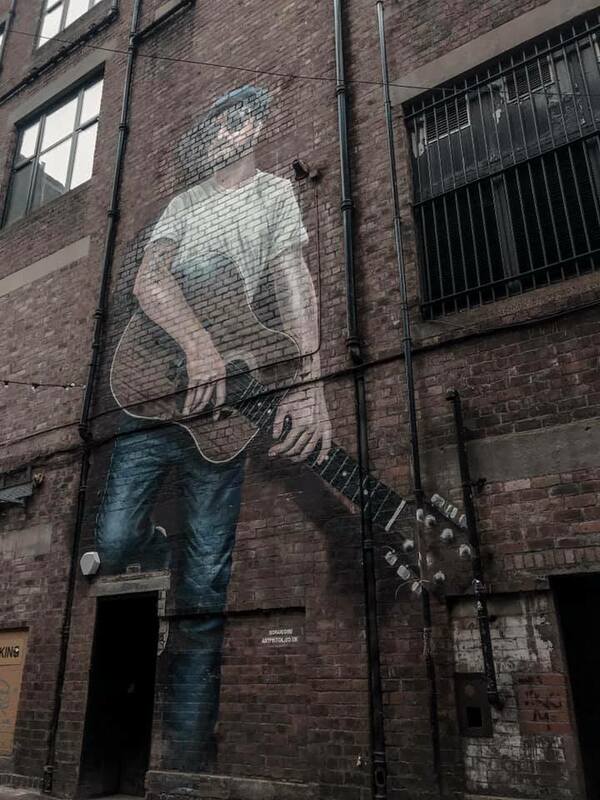 Along the way, I stopped to find The Musician Mural (#25) and the Argyle Street Cafe Mural that was unfortunately hidden behind scaffolding. Since this was a solo trip, I was content with exploring and shopping until the stores closed around 7pm, and then grabbing some food ready for a hot shower and an early night. Having slept pretty poorly, I knew I was going to need some sustenance to get me through the day so a traditional Scottish breakfast is just what I needed. On the twenty minute walk to reach Cafe Gandolfi I passed the Fellow Glasgow Residents Mural (#4), an enormous depiction of all types of animals found in Glasgow’s parks and green space by artist Smug. Cafe Gandolfi topped every recommendation for breakfast in Glasgow. Located in Merchant City, its pine furniture and 1979 premises provides a cosy feel and I knew I’d made a good choice upon entry. The Gaelic proverb Deagh Bhiadh, Deagh Bheannachd – meaning well fed, well blessed – are the aspirations owner Seumas’ strives to achieve for every visitor. 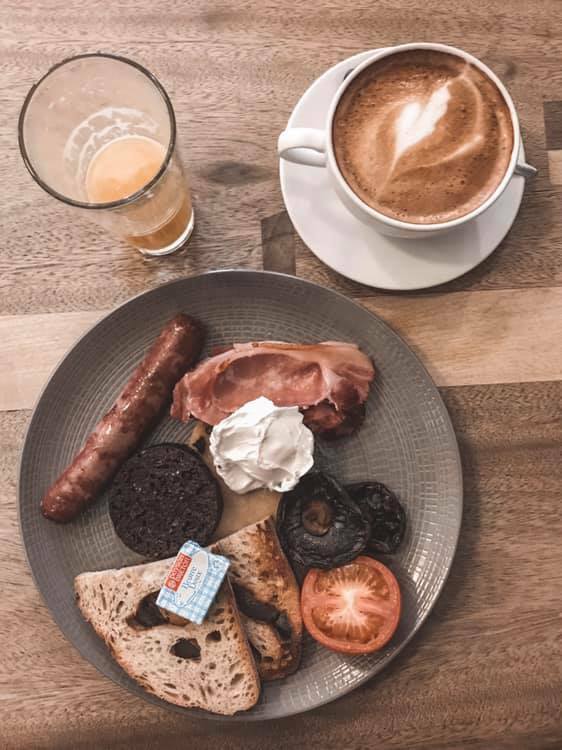 I opted for the full Scottish breakfast – complete with black pudding and a pancake – a latte and freshly squeezed orange juice. 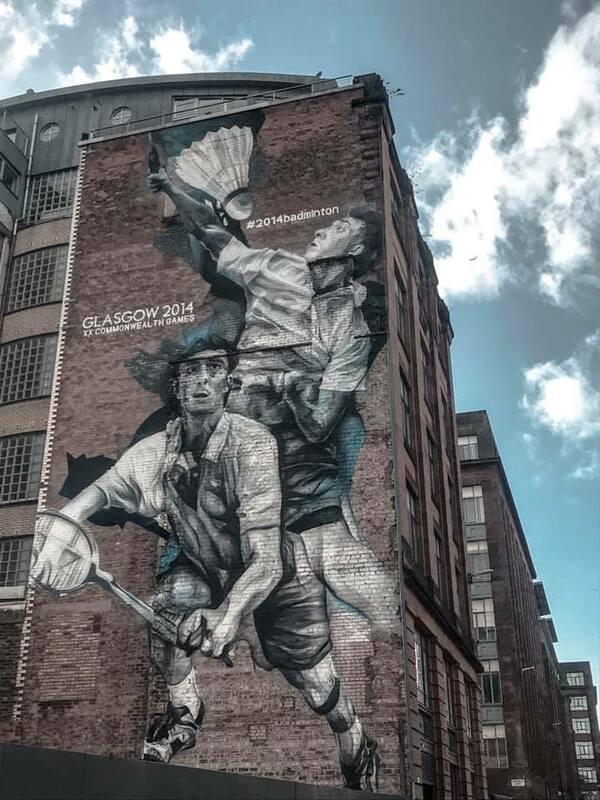 Ready to wile a few hours away in Glasgow’s West End, I headed for the Subway, but not before spotting the Badminton Mural (#5) that was installed as part of the promotional campaign for 2014 Commonwealth Games. 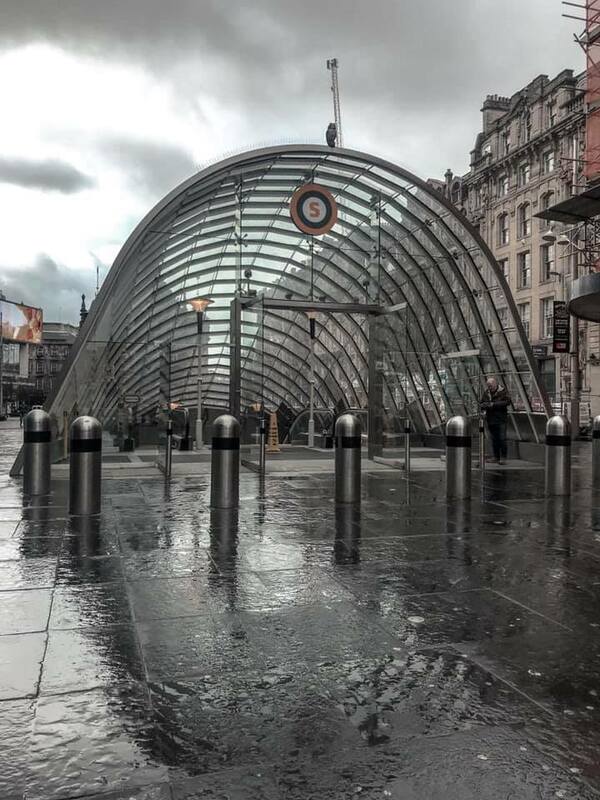 Surprisingly, Glasgow’s Subway is the third oldest metro line in the world after the London Underground and Budapest metro. Given its age, the Subway is incredibly efficient and modern. Tickets are available from both machines and the counter, but the machines are incredibly easy to use. I opted for an Adult all day ticket at £4.10. The subway is incredibly easy to navigate with only fifteen stops, and the route either travelling clockwise (outer circle) or anti-clockwise (inner circle). There’s clear signage to show you which direction you need before going through the barrier. Heading for Glasgow University, I travelled from St Enoch to Hillhead on the inner circle. 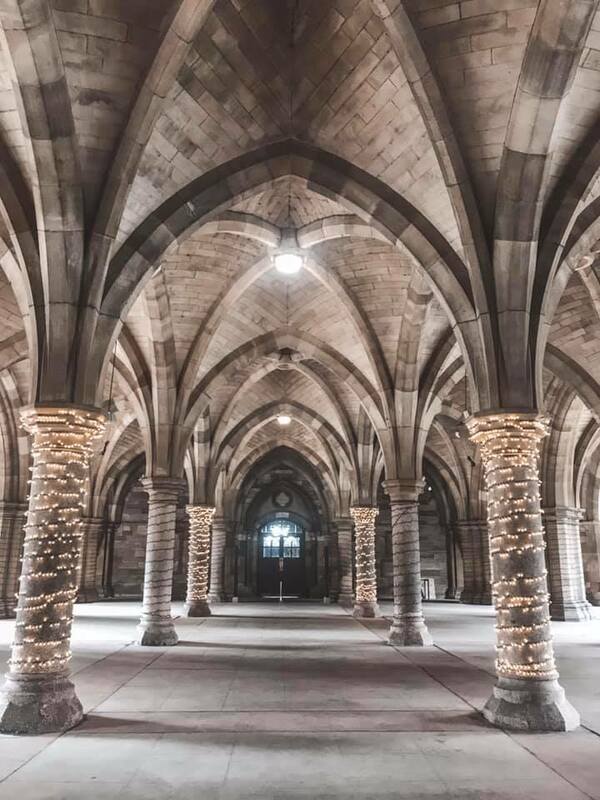 Ten minutes from the Hillhead SPT Subway Station, passing through Ashton Lane, I eventually came upon Glasgow University. If you’ve booked a guided tour in advance, ignore the postcode on the ticket and just make a beeline for the main gate of the university. Turn left and you’ll see an archway over on your right. It’s in here that the tour begins, outside the gift shop. I opted for a guided tour as I like to discover things I’d never have noticed on my own, however, there is the option for a free self-guided tour. The guided tours last around an hour at £10 an adult, and run Tuesday to Sunday at 11am and 2pm. As a bit of a foodie, I spend a fair amount of time looking up the most recommended places to eat and drink. Like Café Gandolfi, Ubiquitous Chip came top of the list over and over again. 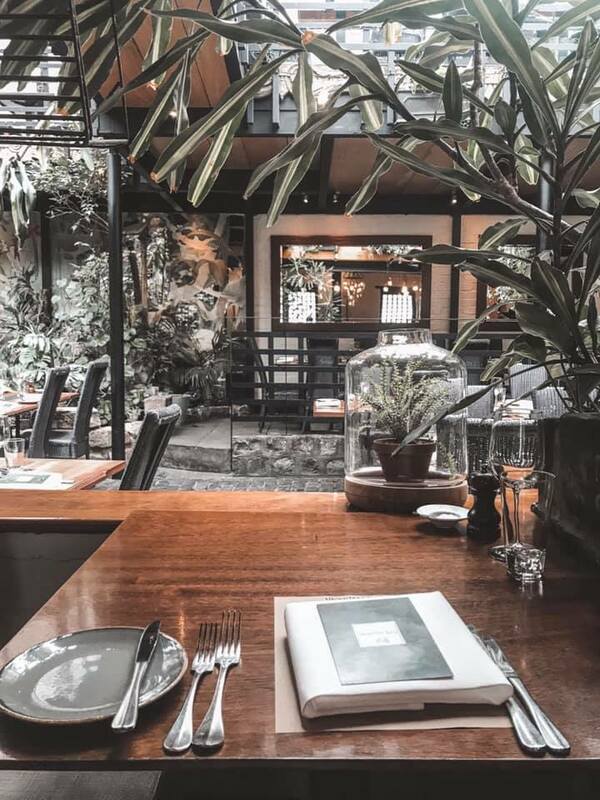 Despite dining alone, I was given a great seat overlooking the restaurant and enjoyed a delicious two-course Sunday roast. 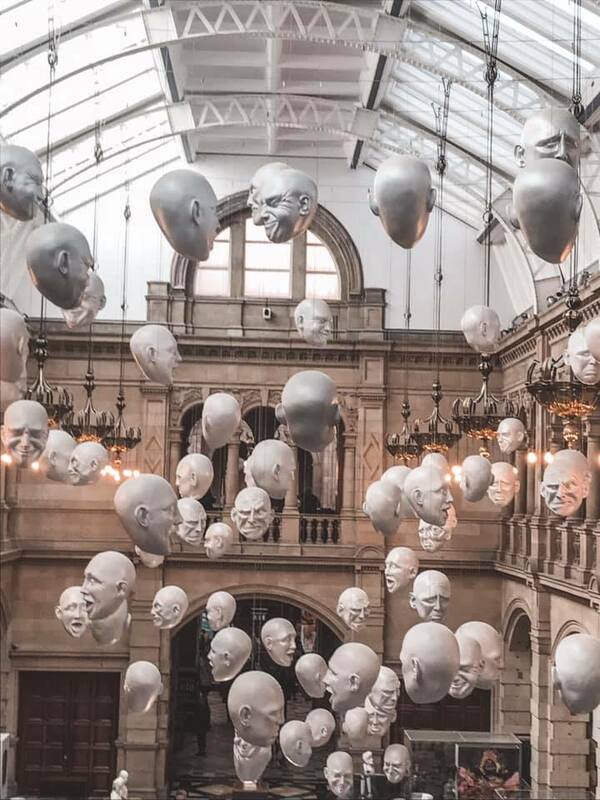 With my belly sufficiently full, I took a twenty-minute stroll through the University grounds to reach the Kelvingrove Art Gallery and Museum which is completely free to visit and explore. The Cathedral was sadly closed by the time I arrived to Glasgow on day one, and only available to visit from 1pm to 4.30pm on Sundays, so it was a quick stroll through the Kelvingrove Park – with a detour to pick up a Pistachio and Hibiscus Brioche Tantrum Doughnut – to reach the subway and back to Buchannan Street. This was for March so be sure to check the opening hours for your visit. From Buchannan Street it was a twenty minute walk to reach the cathedral. Behind the Cathedral you’ll notice the Necropolis – a Victorian cemetery that has had Fifty thousand individuals buried there. With my time in Glasgow coming to an end, I made a special stop by the St Mungo mural, and St Enoch and Strathclyde University murals that face one another on the way to my final destination of the trip. Feeling pretty proud of everything I managed to cram in to a day and a half, I headed to the Buchannan Bus Station to catch the airport express back to the airport. This isn’t a perfect itinerary, as there’s a lot of overlap between some of the sights that had I had more time I would have grouped together. Unfortunately the afternoon flight meant I missed the opening of the Cathedral and other sights that got crammed in on Sunday.